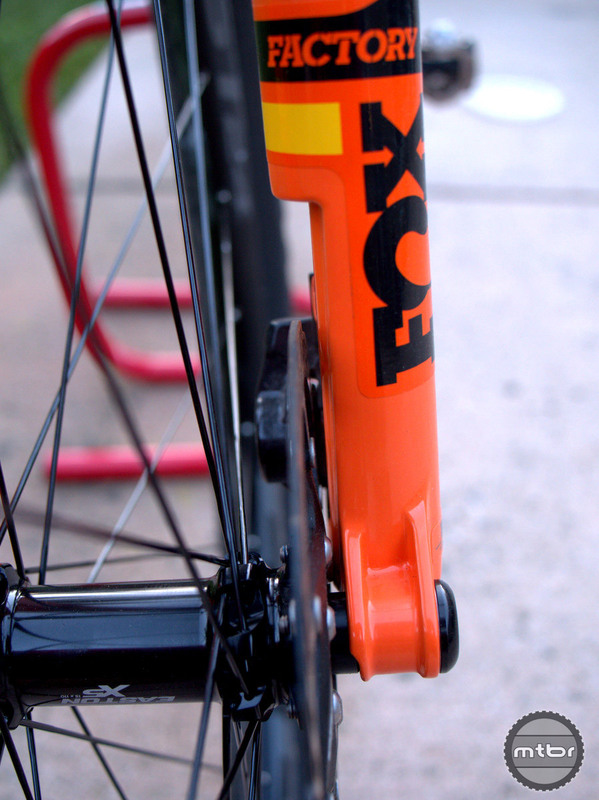 The Fit4 damper is FOX’s crowning achievement for simple yet adjustable damping (click to enlarge). 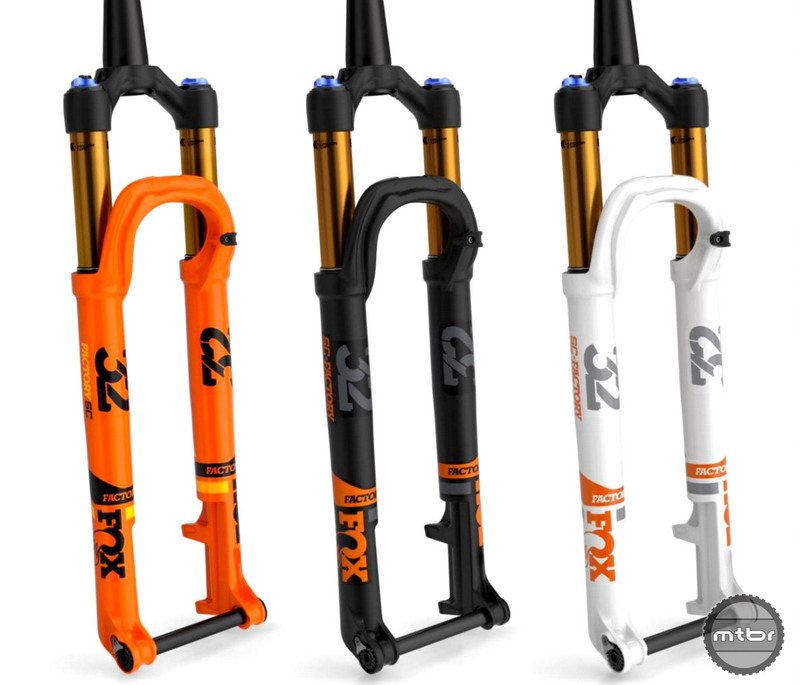 But the greatest news of all is the performance of the fork is similar the latest FOX forks with the Fit4 damper. This is even more important because 100mm of travel is a lot more meaningful if it is quality and tunable travel. Arch detail (click to enlarge). 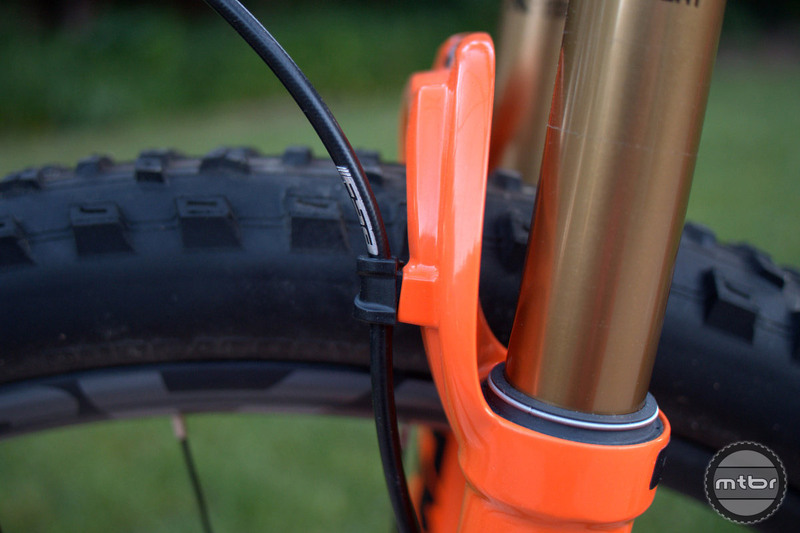 Tunability is key for this fork as it allows the rider to extract every mm of precious travel. 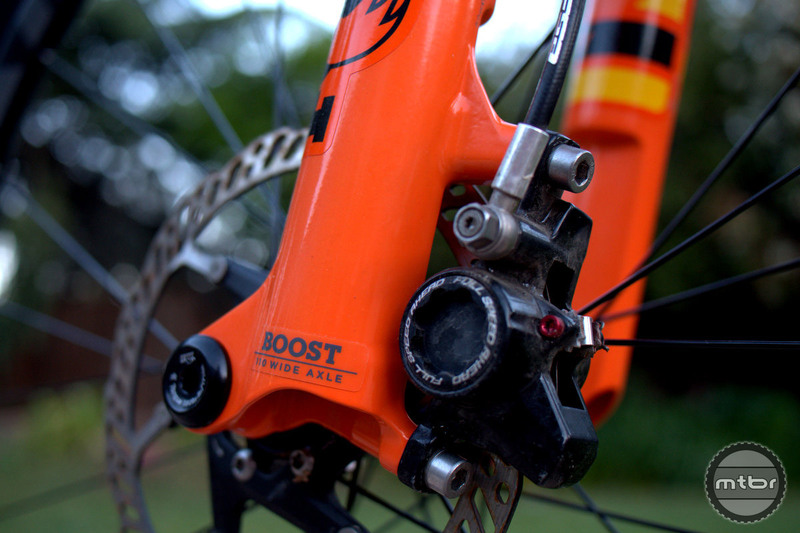 Low speed compression is available in the Wide Open mode where most of the descending will be done. 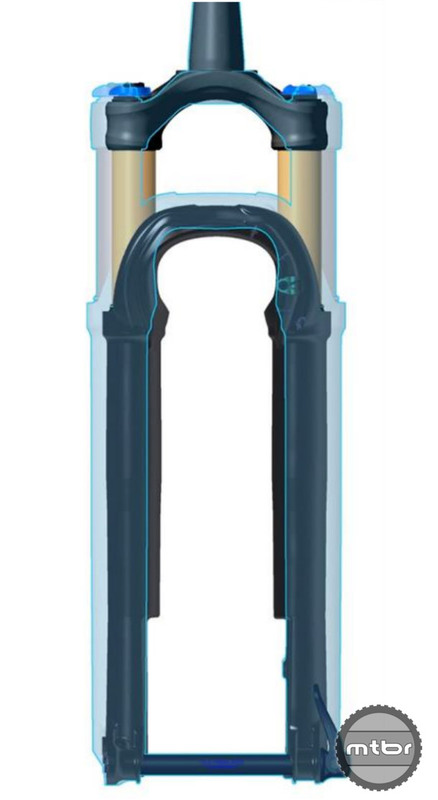 Up to three volume spacers are allowed too to determine how progressive the shock is in its travel range. 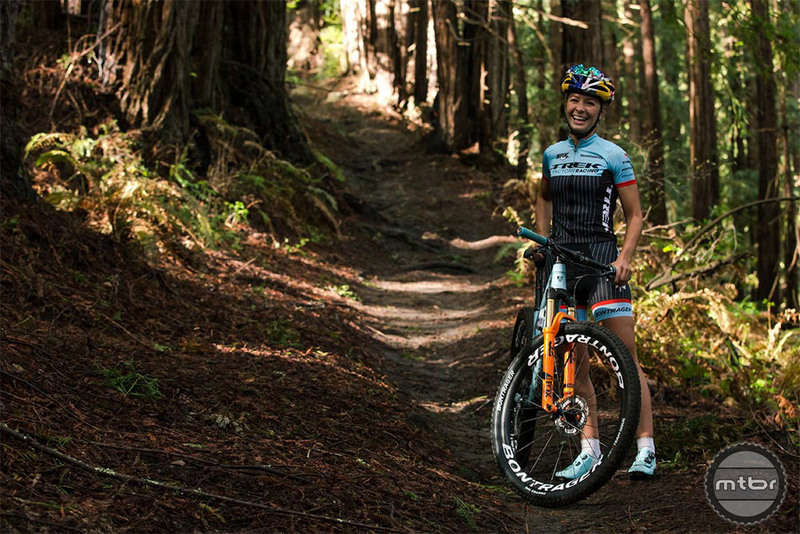 Emily taking a break from all the singletrack fun (click to enlarge). 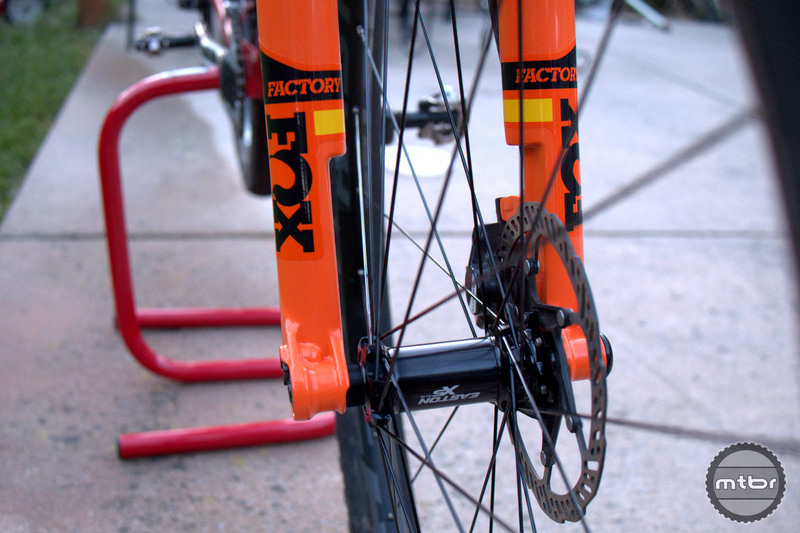 Pricing is competitive for this XC racing weapon. Available in a couple price points (click to enlarge). And no, it’s not just available in hi-vis orange. Other colors are available too. Available in three colors (click to enlarge). 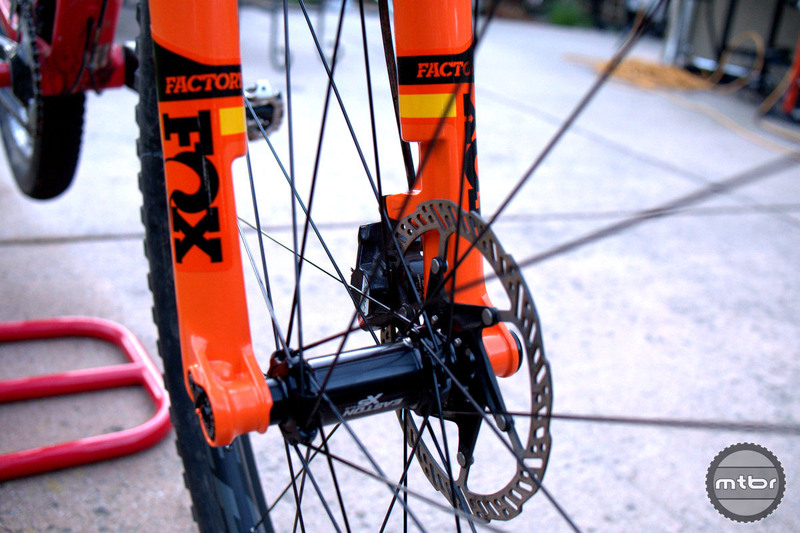 For more information visit /www.ridefox.com. 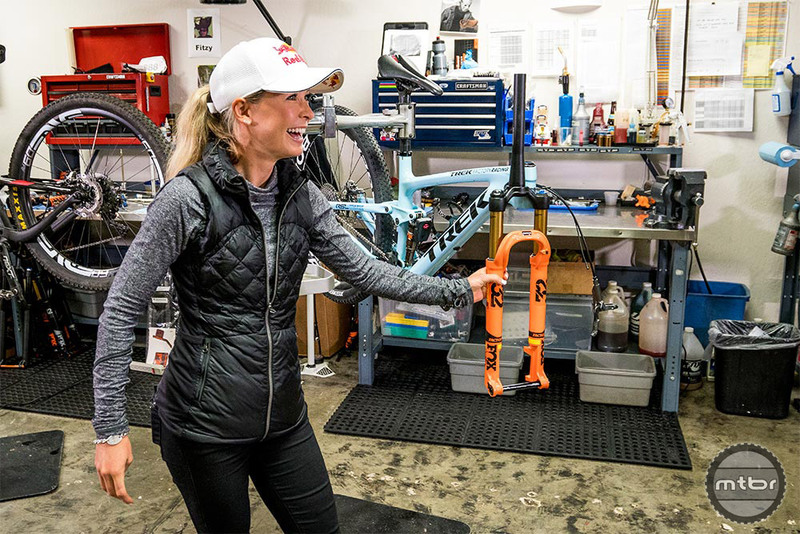 Emily was quite excited to receive her XC World Cup weapon for the year. Lowers are completely milled out for weight. The arch is milled out to minimize weight. 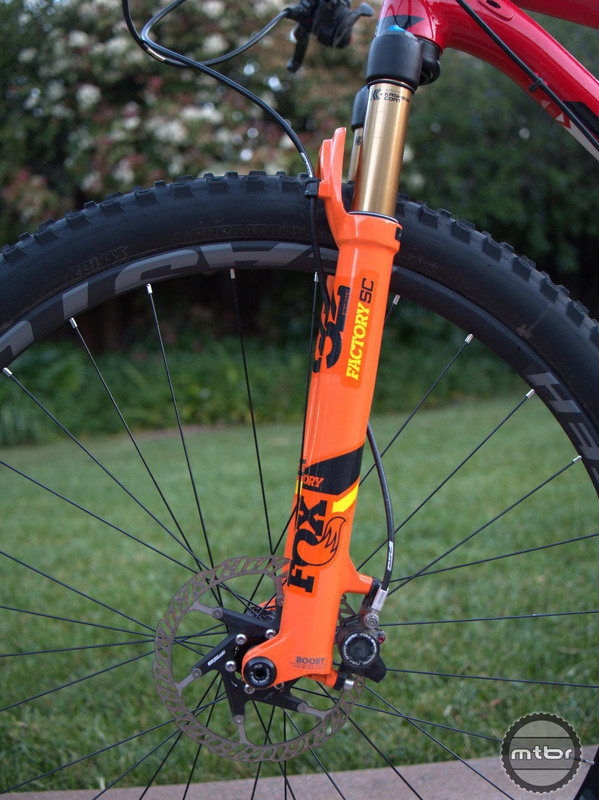 Brake mounts extend below the fork to minimize fork leg length and weight. 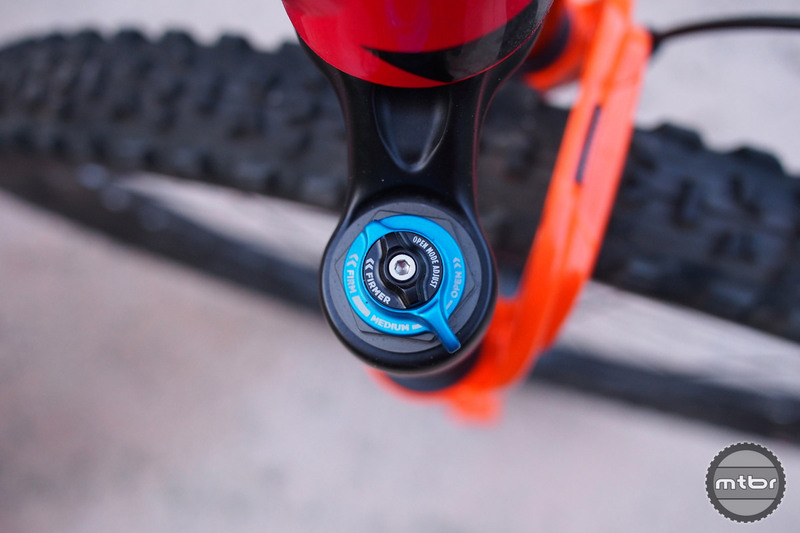 15mm front sports the new Kabolt axle that is screwed in or drilled in for race pit-stop speed. 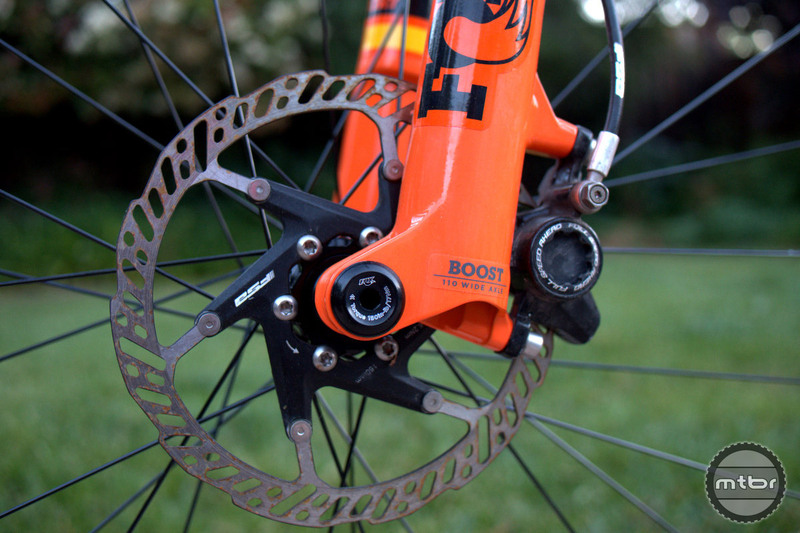 The genius is in the space created for the rotor without interfering with the damper. 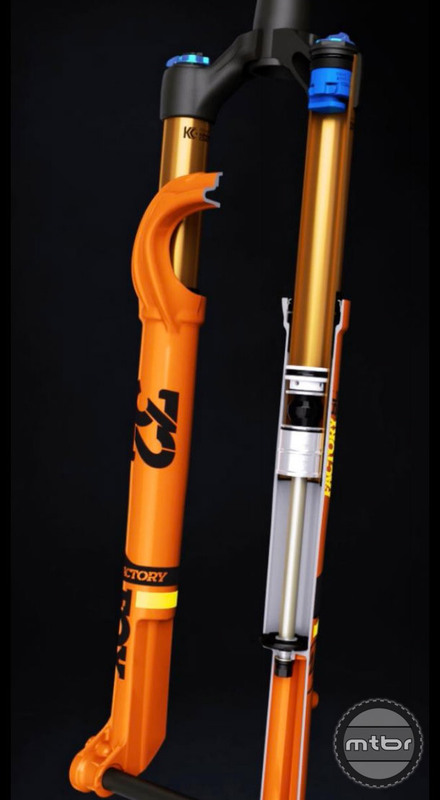 Svelte profile of the 29er fork. Room is made for the rotor and spokes. 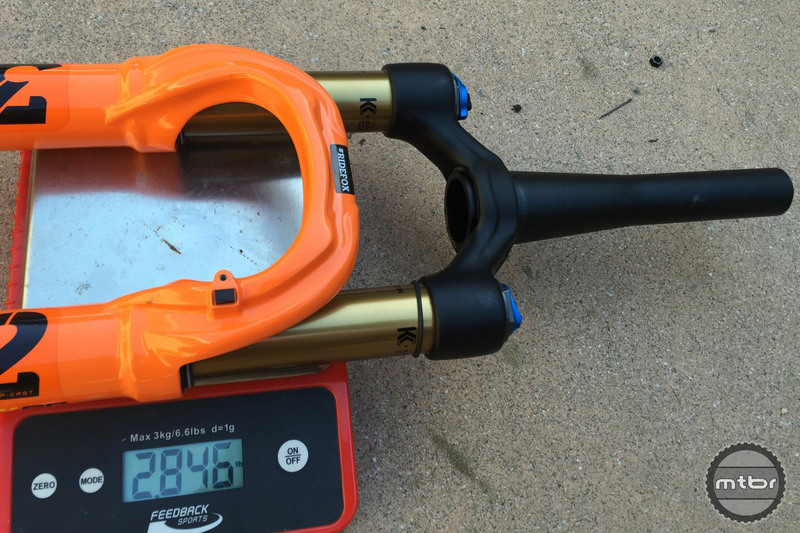 Weight with a cut steerer tube and without axle for the 29er version. 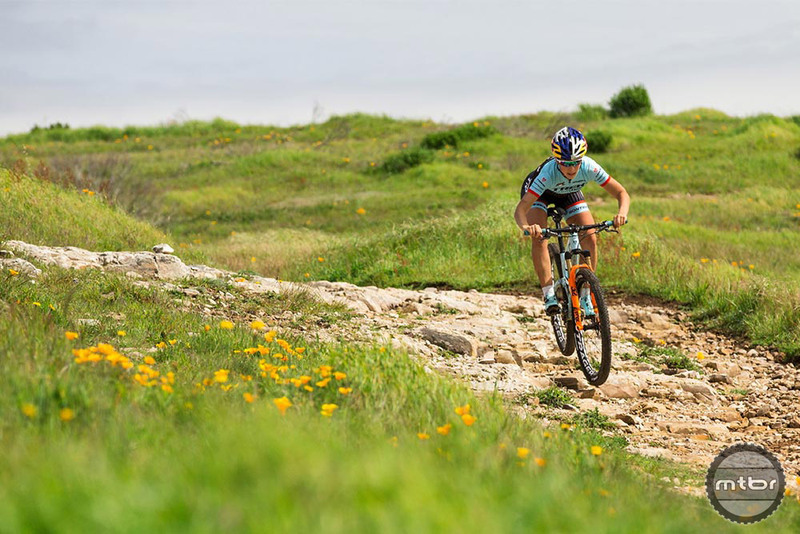 Emily taking a break from all the singletrack fun. Emily attacked this small rock garden with confidence. 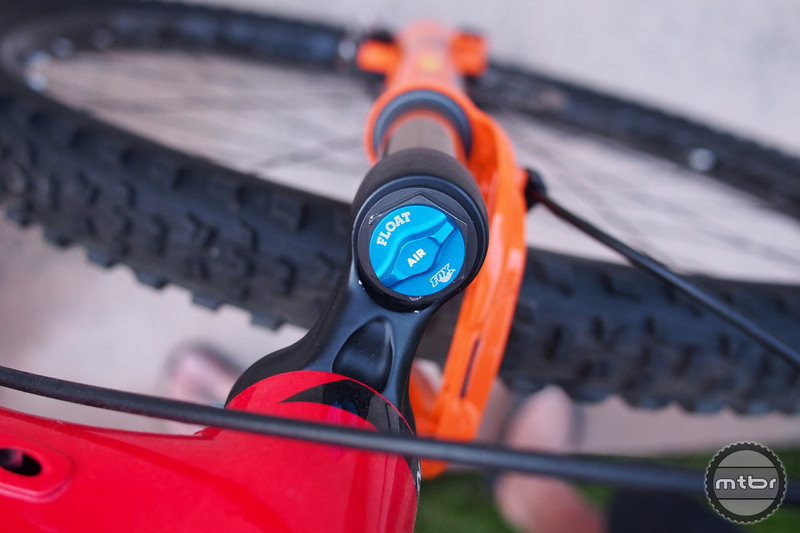 The Fit4 damper is FOX’s crowning achievement for simple yet adjustable damping. arch detail.jpg The arch has several contours to maximize strength. Available in a couple price points. 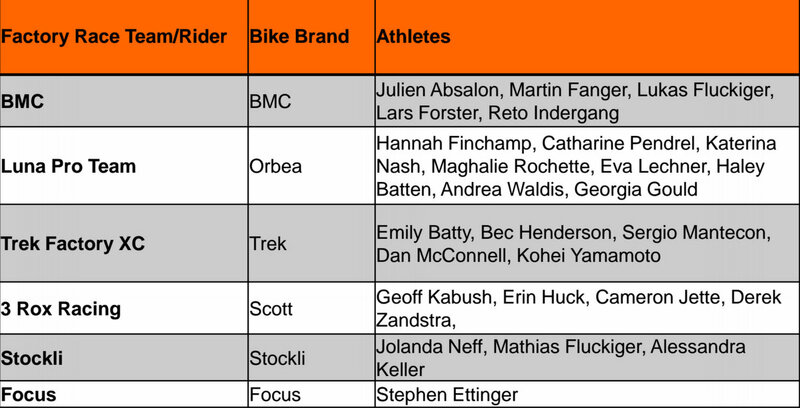 Sponsored riders include the best XC racers in the world. 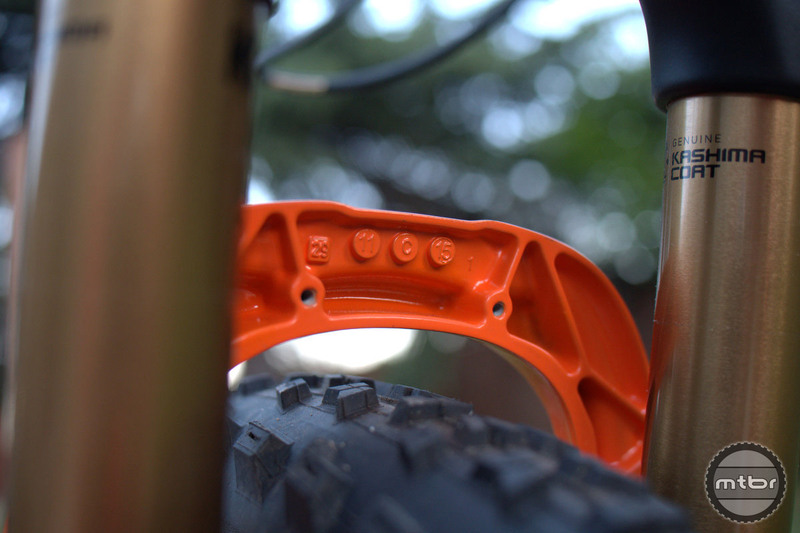 Up to three air volume spacers are allowed to control how much the fork ramps up before max travel. The fork comes shipped with two. 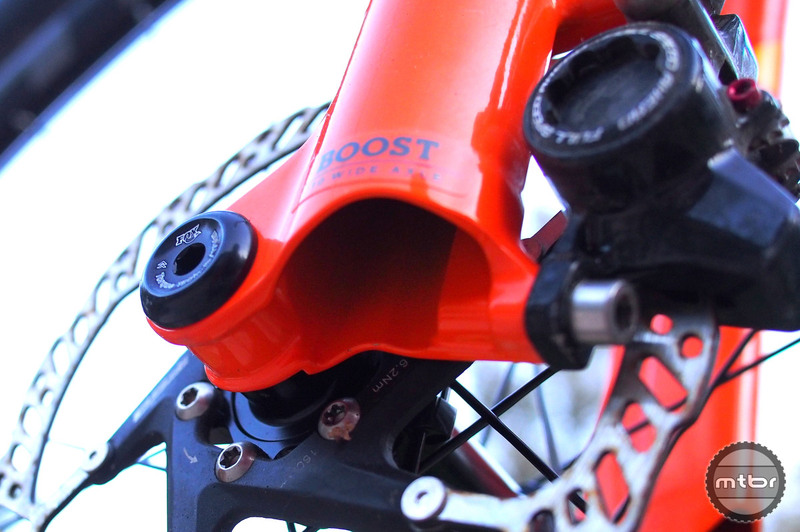 Profile is much smaller than a normal Boost compatible fork. 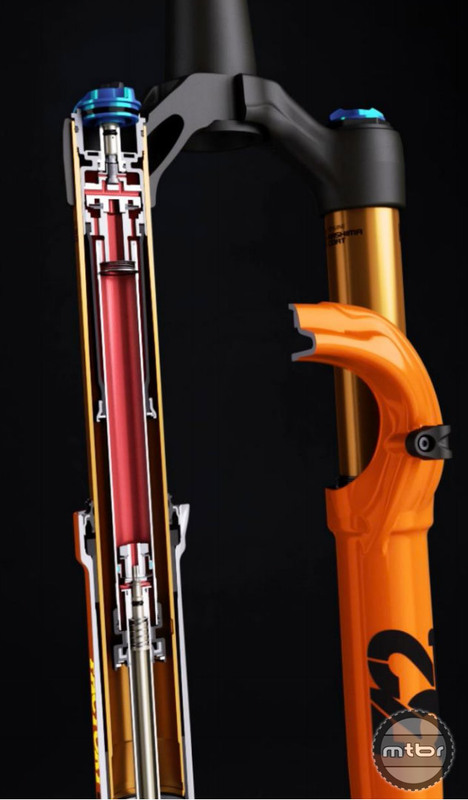 The modern Fit4 damper in one leg. The genius is in the space created for the rotor without interfering with the damper (left). 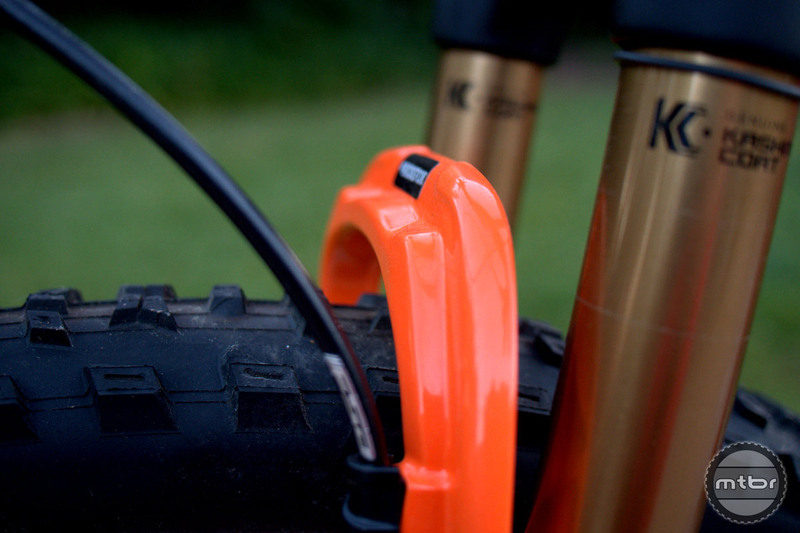 Svelte profile (right) of the 29er fork. 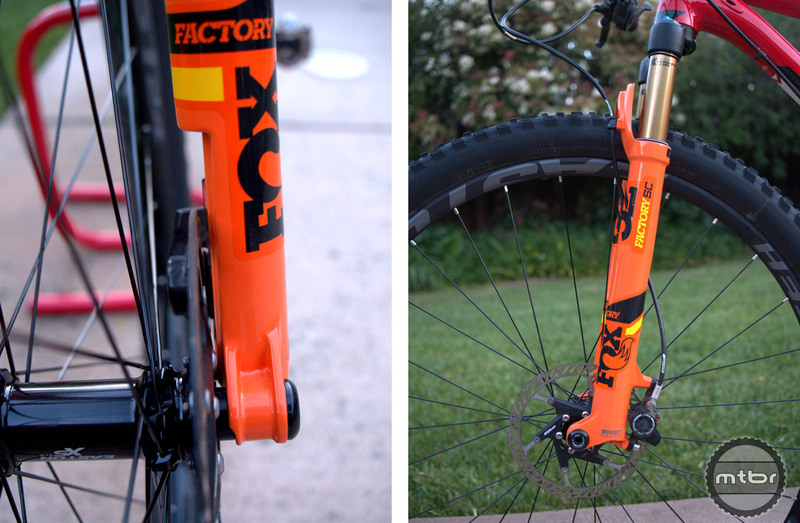 The great thing about Fox Forks is the more you ride them the lighter they get. Oil lost past the seals is the magic Fox formula. So are the weights for the Factory iRD? Is the performance also 0.5 lbs less than last years?